If Britain votes to leave the EU it will have to negotiate its exit and a new post-withdrawal relationship with the EU, one that will have to be agreed by the remaining 27 EU member states and the European Parliament. What positions might they take in the negotiations? 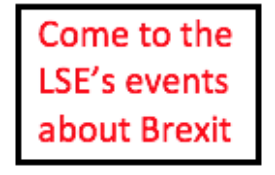 Over the next few weeks the LSE’s BrexitVote blog will be running a series of overviews from each member state and the European Parliament setting out what positions they might take. 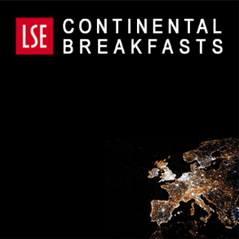 Written by authors based at universities and research institutions across Europe, and compiled by the LSE’s Tim Oliver, the overviews build on an introductory piece in which Tim Oliver set out the various negotiations the EU will undertake in the event of a British exit. This post is the second in the series and gives views from Croatia, Estonia, Ireland, Lithuania and Romania. The potential terms of any agreement with a UK leaving the EU are not discussed in Croatia. Croatia hopes the UK will vote to stay. Prime Minister Oreskovic, speaking at the EU Council meeting in February, spoke of only one solution: the UK remaining in the EU. Any compromise which would safeguard that desired outcome was preferable to a UK withdrawal. As the newest member of the EU, the preservation of the Union is very important to Croatia. It sends a message that the effort invested in the accession process was worthwhile, that membership pays off despite ongoing difficulties, that closing the ranks among partners make each stronger. The Croatian view is, therefore, more symbolic and normative than issue-based. The total of Croatian exports to the UK is just 2%. The UK extended restrictions on the mobility of Croatian workers until 2018, with a possible further extension for another two years after that. Short of a thick bilateral agenda between the two countries, Croatia has little incentive to discuss any red-lines in case of the EU negotiating a UK exit. If indeed the UK decides to leave the EU, only then will discussion on new terms begin. The political establishment hopes there will be no need for this. Discussing it in advance is viewed as speculative, undesirable and risks sending a signal that the leave scenario is viewed as likely. Nobody wants to anticipate such a scenario or do anything that could encourage it. It is to be hoped that bilateral relations will adapt to any new situation and that cooperation within NATO will remain and be unaffected. However, a British exit will further undermine the already weakened EU enlargement policy to which Croatia subscribes and it will open discussion in Croatia about its realignments within (and outside) the EU. Dr. Senada Šelo Šabić, Institute for Development and International Relations, Zagreb. For Estonia the withdrawal of the UK from the EU would have an immediate practical question in the form of the EU’s rotating presidency. The UK is due to fill the EU Presidency in the second half of 2017. Estonia is supposed to be presiding over the EU just after the UK in the first half of 2018 (at the same time, Estonia will be celebrating the centenary of the Republic of Estonia). A UK focusing on exit negotiations would leave it little if any time to focus on its Presidency. However, when I asked the Estonian Foreign Minister Marina Kaljurand what would happen, she replied that her British colleague, Philip Hammond, had assured her that the UK would do its duty and preside over the EU in the second half of 2017. It may be that Estonia and Malta (who hold the presidency in the first half of 2017) will have to step in to informally lead on many issues. The second question is broader, of course. The UK withdrawal will change the essence of the EU. It is not about reshuffling the seats in the Council or the European Parliament and seeing how a redistributed QMV works. Rather it is about the question of whether the European Union would be able to function in general. A British exit would confirm that the current referendum logic is negative (Denmark, the Netherlands, the UK) and poses more seriously than ever the fundamental question of how to combine the democratic process with the functioning of the EU. The UK’s referendum may give a straightforward answer to that question that these things cannot be combined. The Estonian Government has opted to not make any statements on the issue and so let the democratic process decide the result. However, should the UK vote to leave, Estonia would find itself faced with difficult questions which it will need to make its position clear on, not least because holding the EU’s Presidency means it will need to lead on such matters. These will include whether it would agree to an EU-UK deal that allows the UK continued access to the Single Market, whether it would expect freedom of movement as part of some UK membership of the EEA, and whether (and how) the UK could be involved in EU cooperation on security matters relating to Russia. Erkki Bahovski is the Editor-in-Chief of Diplomaatia, foreign and security policy magazine in Estonia. As the UK’s nearest neighbour, and the only EU country with which the UK shares a land-border, Ireland arguably has more at stake in a Brexit negotiation than any other Member State. It is hoped that the British public will vote in favour of the status quo on 23 June, but Ireland’s own experiences of EU referenda will only serve to instil doubt, and a “Plan B for Brexit” will not be far from Irish minds. But such a plan is unlikely to make for pleasant reading. For Ireland, there are inherent negatives, of varying severity, in every conceivable Brexit scenario, be it on the basis of EEA or EFTA, or more likely a UK-specific free trade arrangement. A protracted negotiation, and a UK outside the customs union, common commercial policy and/or single market, leaves Ireland with any or all of the following outcomes: disruption to investment arising from market uncertainty; trade disruptions and restrictive tariffs on agricultural goods and other produce; the certain return of a customs regime between Ireland and Northern Ireland; and the possible return, however unlikely, of passport controls at the Northern Irish border, which could have knock-on effects for the fragile Northern Irish peace settlement. The ideal for Ireland would naturally be an agreement that preserves critical aspects of today’s mutually beneficial relationship, and it is not difficult to divine two broad Irish priorities here: preserving the Common Travel Area (CTA) between the UK and Ireland, currently protected by a joint British-Irish opt-out of the Schengen zone; and limiting disruption to the €1billion weekly trade flows across the Irish Sea, particularly with respect to the agri-food industry, which accounts for about a third of Irish exports to the UK. In light of the political sensitivities, a convincing case could be made for the continuation of the CTA, though the practicalities of this unprecedented arrangement, especially in light of current attitudes towards migration and security, are quite another matter. Protecting the trade relationship and the interests of the Irish agri-food sector, meanwhile, would be a challenging task, and may amount to an exercise in damage limitation. There is, in general, significant overlap between Irish and British policy priorities, and if this were a bilateral negotiation it would be a short and amicable one. In a European Council setting, however, the varying interests – and dispositions – of 26 other Member States would have to be accounted for. Out of self-interest, enlightened or otherwise, some would see little incentive in giving the UK a favourable deal. By extension, it is deeply uncertain whether Irish interests could be protected against the disruptive impact of a Brexit. Andrew Gilmore is a Senior Researcher at the Institute of International and European Affairs, Dublin. A Eurosceptic victory in the UK’s referendum could cause severe economic and political damage to EU integration and the future of the Union. Although the question of the UK’s EU membership is very sensitive, it has not been widely discussed in the Lithuanian press. It is, however, clear that despite criticism of the UK’s EU renegotiation, Lithuania supports keeping the UK in the EU. Before the agreement on renegotiating the UK’s EU membership was reached in February granting the UK a “special status” to, amongst other things, limit some EU migrants’ benefits, Lithuania’s President criticized such claims stating that no discriminatory policies should be applied to European citizens because freedom of movement is a core principle of the Union. Lithuanian eventually agreed to the deal, but not without reservations as to where this would take the EU. The UK’s membership of the EU is of a great importance for Lithuania. Both countries have long-standing economic ties. Furthermore, with more than 100,000 Lithuanian citizens living in Britain the country remains among the top emigration destinations for Lithuanians. The UK’s withdrawal could leave them outside the Single Market, thus excluding them from commonly shared principles and rights. Their rights and standing in a non-EU UK would be a central concern for Lithuania. Britain’s withdrawal from the EU is related not only to negative economic or social aspects for Lithuania. It could also seriously affect the political unity among the remaining EU member states. Any new UK-EU relationship could create a precedent for further such cases, especially at a time when new dividing lines have opened up across the EU because of the migration crisis. The refugee crisis, the terrorist attacks in Brussels and Paris, and ongoing problems in the Eurozone mean the EU is facing both political and security crisis which requires cohesion more than ever before. The likelihood of such cohesion would be thrown into doubt by a Brexit, a development Lithuania would not welcome. As Lithuania’s ambassador to the EU noted, the EU is unimaginable without the UK both because of the political and economic issues an exit would cause. Živilė Vaicekauskaite is based at the Institute of International Relations and Political Science in Vilnius University. Bucharest is very alert to the fact that the consequences of the overlapping economic crisis, migrant flows and consolidation of protracted conflicts in Europe’s Eastern neighbourhood may pave the way for a more inward looking political transformation of the EU. It is this situation – and especially that surrounding migration– that will frame how Romania views a UK vote to withdraw from the EU. Even if the UK’s referendum does not lead to an exit, more negotiations between London and the rest of the EU over further opt-outs are likely, which would represent a major issue of concern for Romania. The strengthening of Eurosceptic movements across the EU represents a challenge for Romania, for whom the deepening of economic and political processes associated with European integration has exerted an overall positive influence on the dynamics and quality of Romania’s internal politics. So far, official positions have been limited to supporting Britain’s continued EU membership, while conditions envisaged by Bucharest would focus on certain provisions regarding subsidies for immigrants. Even before the onset of the migration crisis, with its consequences for the future of Schengen, Romanian authorities and analysts were concerned with the need for a clear differentiation between migrants from the Middle East and EU based workers moving inside the EU. 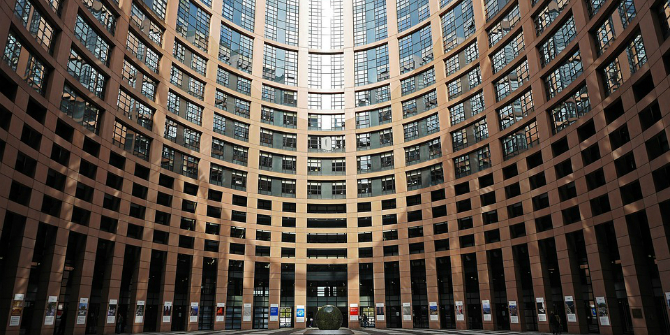 The issue of free movement of Central-Eastern European workers continues to poison significant parts of the media and political debates in both Romania and the UK, given the fact that it was used by some political figures such as UKIP MEPs to question the right to free movement but also by mainstream politicians committed to reducing the numbers of migrants heading to the UK. From a Romanian perspective, it is very worrying that calls for restrictions of fundamental EU rights have become a core part of the Brexit debate, largely through the discourse of mainstream parties. For Romanians, the main concern is that such arguments seek to restrict Central-Eastern Europeans from moving to the UK for work or studies and open up room for further modifications of what is considered a core EU right. This means free movement will be a redline for Bucharest, should the coming referendum see victory for the Leave camp and lead to break–up negotiations between the UK and the EU. Continued free-movement as part of some new UK-EU relationship that sees the UK remain in the EEA, will be something Romania will push hard for. At the same time, Romanian is aware that crises in Europe’s South and East and the subsequent flows of migrants are an issue which may divide even more states into competing camps, with a core group calling for strengthened border control within the EU. Continued free-movement to a UK outside the EU would therefore form part of this wider EU debate. EU policy planning on security issues is also likely to be changed, although cooperation between NATO and the UK in the defence sector is expected to continue. British influence in security crises such as Ukraine and the potential to support further pressure for sanctions against Russia, also as part of the transatlantic relationship, matter immensely for Romania as it searches for long-terms allies committed to the effective implementation of the Minsk II agreement with Moscow. Given existing divisions among Central and Eastern members on the sanctions issue, it is essential for Bucharest to partner up with like-minded states within the EU which are better positioned to support this policy inside the Union. A Britain outside of the EU would surely lose part of its political weight, in spite of its perceived close relationship to the US. Agnes Nicolescu, Public Policy director, Aspen Institute, Romania. This post represents the views of the authors and not those of BrexitVote, nor the LSE. Image CC0 Public Domain. Dunno what Croatia is thinking, they need to leave as soon as possible also. We need to get our own house in order and become a trading partner.